New York - The flu vaccine is doing a relatively good job this season, protecting about half the people who got it, U.S. health officials said Thursday. Preliminary figures suggest the vaccine is 47 percent effective in preventing flu illness severe enough to send someone to the doctor’s office. 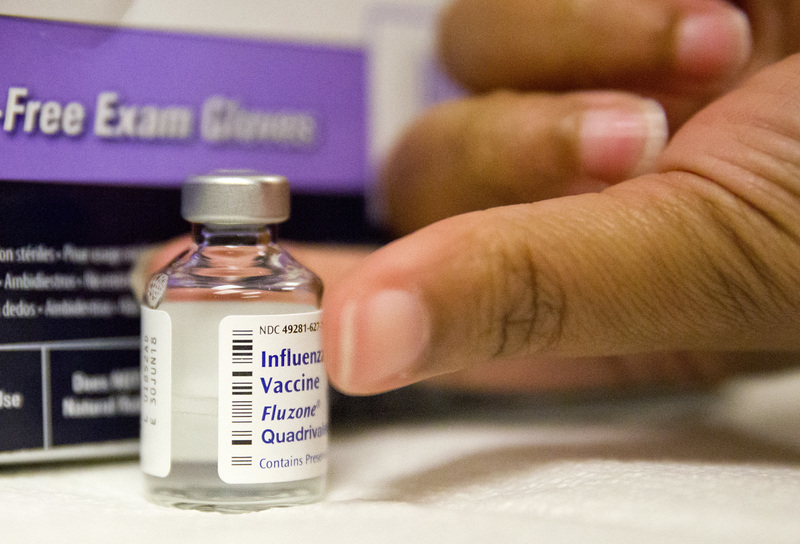 Health officials are generally pleased if a flu vaccine works in 40 to 60 percent of people. “These are early estimates, but they are encouraging,” said Dr. Alicia Fry of the U.S. Centers for Disease Control and Prevention. Somewhere between 10,000 and 16,000 people have died from flu and its complications so far this season, according to new estimates released Thursday. Last winter was dominated by a nasty kind of flu, and the vaccine’s weakness against it was one reason it was the deadliest flu season in at least four decades. An estimated 80,000 Americans died of flu and its complications. This winter, in most parts of the country, most illnesses are being caused by a somewhat milder virus that vaccines tend to perform better against. Overall, flu is widespread in 47 states, according to the most recent CDC data. Health officials don’t know if flu season has peaked yet, Fry said. They also are seeing evidence that a more severe flu virus is spreading to more states. It’s unusual to see a later surge of nastier illnesses in a season initially dominated by a milder flu bug, and it’s not clear why that’s happening, said Dr. William Schaffner, a Vanderbilt University infectious diseases expert. The early estimates on the vaccine’s potency offer only a fuzzy picture. For example, there weren’t enough sick patients of different ages to produce a reliable estimate of how it did in the elderly, who are at greater risk from flu and its complications. Some other types of vaccines — like the one against measles, mumps and rubella — are far more effective in preventing people from getting sick than the flu vaccine. But experts say flu is a quick-changing and elusive target. A flu vaccine that works around half the time “is the best that science can produce at the current time,” Schaffner said.